2019 marked JPS Technologies, Inc. 49th year in business! Our firm was established in 1970 as Jim’s Plating Supply, Inc. In 1997, as the business grew, we changed the name to JPS Technologies, Inc. to better reflect our business as a leader in the Industries we still serve today. 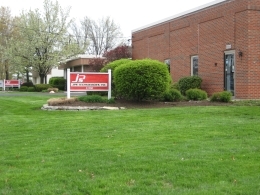 JPS Technologies, Inc. supplies equipment and chemicals to the Surface Finishing, Electroplating, Printed Circuit Board, Aerospace, Rotogravure and other related wet processing industries. JPS Technologies, Inc. designs and manufactures custom built equipment. As a distributor, JPS Technologies, Inc. represents many major manufacturers throughout the United States. As a manufacturer, JPS Technologies, Inc. designs and specializes in custom fabrication to suit your needs. JPS Technologies combines the experience and the know-how to offer systems designed to meet your specific requirements complimented by supplying standard components and proven procedures. At JPS Technologies, Inc., our mission is to be recognized as a leading supplier and manufacturer for our industry. JPS strives for continuous improvement in all aspects of our business as well as keeping our customer’s needs first for total customer satisfaction. Company Name JPS Technologies, Inc. Formerly known as Jim’s Plating Supply, Inc.